Felt is a textile that is produced by matting, condensing and pressing fibers together. 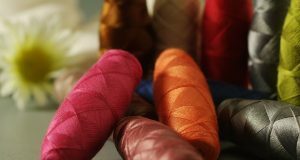 Felt can be made of natural fibers such as wool, or from synthetic fibers such as acrylic. Historically, felts were the only material used for underlays but today they represent only a little part of the market while the urethane foam accounts almost 80% and sponge rubber, the reminder. Felt underlays provide firmer support and, therefore, are often used in high traffic areas in commercial establishments. They are also used in conjunction with area rugs. In mattresses they are used for reinforcement. 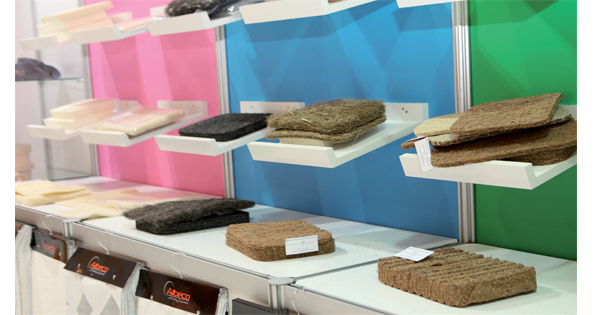 Turkey has some respectful felt manufacturing brands such as Milkay, Şiteks, Pinteks, Kayteks, Felturc, Simfelt, Felteks, Kisbu, Berfa, etc. Today, the mattress industry reinforcement felts offer technical characteristics which ensure an incomparable bed comfort. Available in a wide range of thicknesses, stiffness, colors, compositions, dimensions or numbers of layers, felts are commonly used in most mattress kinds. Felts and fibers are also used to keep foams in its form and as a protection material. Felts include SAE, sheet, wiper, sleeve, needled, filter, gasket, high temperature, equestrian, craft and percussion felts. Felt is available in materials including wool, rayon, and polypropylene. High temperature felt materials include Nomex, Kevlar, polyester and carbon precursor felts. Felts applications include dust shields, wipers, grease retainer washers, vibration mountings, polishing, glue and wax applications, pressure and cushioning rolls, lubricating, padding, oil retention, seals, spacers, harnesses and saddlery. 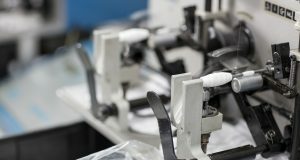 Capabilities include die cutting for SAE grade wool and coated felts, non-woven synthetic materials, coated and impregnated felts, corks, foams, and non-metallic materials. Kiss cutting is available for felt dots and anti-skid foam pads. 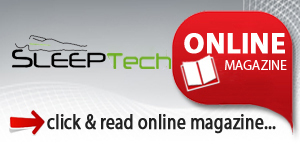 Capabilities also include stripping, slitting, and applying pressure sensitive adhesives to materials. Natural materials without toxic emissions are becoming increasingly important, especially in the mattress industry. Felts made of virgin or recycled wool and cotton are examples of such materials. 100% pure wool felt needled punched felt is made out of 100% pure washed wool and is also made without any Pes additives. It is a natural, warm and fire retardant product. Needled punched felt is made out of various cotton recycled textile fibers. 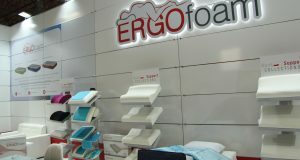 It is used for the filling of the mattresses for economical types. Felts can be produced from wool and from some other animal fibers such as goat, rabbit or camel hair. The fibers are laid over each other in layers until the desired thickness, width and length are achieved. This produces a web-type structure which is then beaten, pressed and squeezed until the required level of felting is reached. The felt can be strengthened by stitching, melting or dissolving small areas of fibers, or by gluing with adhesives. Another type of felt is called needle felt. This can be produced using almost any type of fiber. Synthetic fibers are increasingly used for this commercially. This method uses felting needles which are arranged together in a needling machine. Fiber webs are layered on top of each other and are fed into the needling machine. The needles are pushed through the fiber webs in order to drag a number of fibers to the bottom layer of the webs. This makes loops in the fibers which stitch the webs together. All felt absorb water and are good insulators. Felt can be steamed and pressed and formed into permanent shapes. This means that felt can be used in many different ways. Commercial uses include hats, billiard table coverings, insulation materials, collar facings for coats and jackets. Needle felts have additional property of being elastic and lightweight compared with other nonwoven fabrics. Their uses include interlinings, mattress covers, upholstery materials and wadding. Products manufactured for the bedding and upholstery industry are in both out sizes and roll-form with weight ranging from 750 gm2 to 1800 gr2. There is a range of products from layered felt, heavy needled felt through to bonded felt, both unbacked and backed, with a range of different backing materials such as woven polypropylene or Typar (DuPont). It is a gift of true comfort for humans. Felts are available in different colors. There are 100% wool pads that are available in several sizes and can be used as a mattress topper, car seat pad, rug, camping pad, massage pad or anything else you can think of. Wool felts work great as a top layer on a your bed since they are hand washable. Thick and cozy, wool felts are the perfect addition to every bed. Specialty fibers can also make wonderful felt or can be combined with wool fiber to give a luxurious feel and a different texture. Fibers such as alpaca, angora, bamboo, camel, cashmere and silk are all available. For color blending, hand carders are useful, or if you are working on a larger project a drum carder is a very handy tool. This will produce blended batts of wool that can be used in many different ways. Ahmet İlhan, export manager of Siteks, explains: “Mainly there are 3 separate felts in a mattress. First is the product combined by heat processes and used on the springs directly which is called hard felt. These lessen the hard effect of the spring and spread it on the surface. They spread the weight of a person given to the mattress and prevent it from being concentrated on a certain point. Our Company can produce hard Felt from 300 grams to 3,000 grams. Now, we have 8 production lines. Our monthly production capacity is 3,500 tons. Another sort of felt is filling felts. These are medium-hard felts used between top cloth and hard felt. They can be produced in different grams and with different thicknesses and they may show variation depending on the countries and their mattress cultures. How many felt layers are enough? This depends on whether you use latex padded slats or bare slats. With latex padded slats, stacking 4 to 6 bed felt layers is recommended. With bare slats, it would be better with 8-10 bed felts. More can be added if needed. The top felt is the protection layer. It requires more care, especially when sleeping right on the felt with no sheet. Little woolen pilings begin to form wherever your body is directly moving/rubbing against the wool. The pilings can easily be picked off while sitting on them. It makes for good contemplation time. To produce a layered felt mattress, simply stack the felts on top of each other. Side lacing helps reduce possible slippage between felts, but is not absolutely needed. Some people prefer no lacing because of the ease of removing layers for travel, or for seasonal sunning and airing.